Former Joy Division and New Order bassist Peter Hook continues his march through those bands’ back catalogs next year with the announcement today that he’ll perform the latter group’s third and fourth albums — 1985’s Low-Life and 1986’s Brotherhood — in their entirety at a pair of special U.K. concerts next September. Billed as “From Confusion to Truth Faith,” the concerts are set for Sept. 25 in Manchester and Sept. 27 in London, with tickets for both shows going on sale Friday. While no further dates have been announced, if history is any judge, a year’s worth of touring the two New Order records will follow the twin U.K. dates. 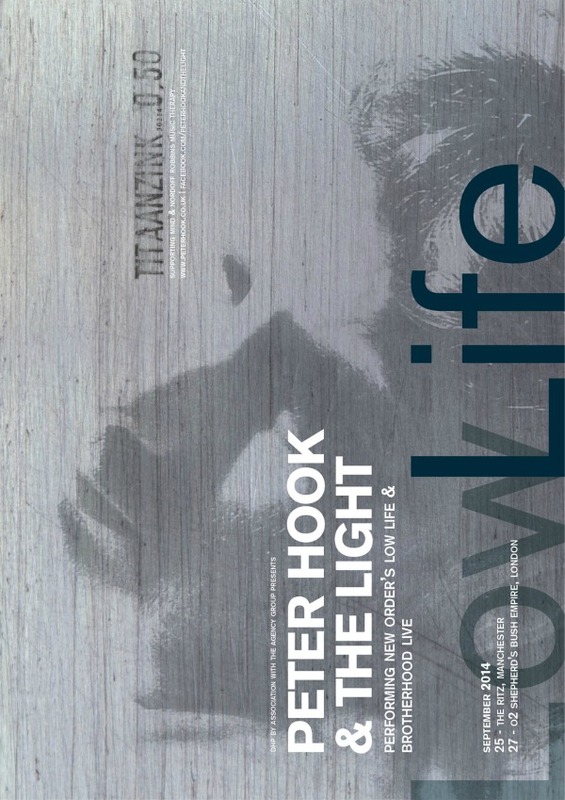 Hook has similarly launched separate tours on which he performed Joy Division’s Unknown Pleasures and Closer, followed, this past year, by worldwide dates featuring full performances of both New Order’s Movement and Power, Corruptions & Lies. Please stop, Peter Hook. Please. Stop. Get Ready/Waiting For the Sirens Call. What Don said. Even Roger Waters stopped at playing not more than two whole Pink Floyd albums in their entirety and billed it as a solo show (“The Wall” and “Dark Side Of The Moon”). Argh. Sorry Toby – but in no way can you make a comparison between NO’s album and Floyd’s albums. As a huge fan of both bands, the main difference difference between the two would be concept (theatricality) and talent. Pink Floyd takes the cake. Hi Devotee – thanks for the reply. To be honest, my comparison was not necessarily based on the quality of the albums produced by New Order/Pink Floyd, or whether they are concept records (or not) or even level of musical talent, but more that we have a single member of said parent band (and both bassists, no less) performing entire LP’s worth of the former band’s material, but billed as little more than a solo show. Personal preference? The Floyd over New Order. Your point seemed pretty obvious to me. i saw his show this summer, it was terrible. It should stop. I saw one of the shows from the Movement and Power, Corruption & Lies it was a lot of fun. Peter Hook has mentioned in the past that he would like to play every song he’s ever recorded at least once live before finally retiring. As those who are complaining about Hooky doing these shows, simply don’t go to them. Matthew, common sense has no place on the interweb! Toby, Don & Ron…please STFU! His shows were awesome. Long Live Hooky!! Whatever the merits of the project, that’s a really cool poster. He should be ashamed of what he’s doing, only for the money. People complains about Barney’s vocals but hearing Hook singing New Order’s song is like hearing my dog barking on top of some nice music.